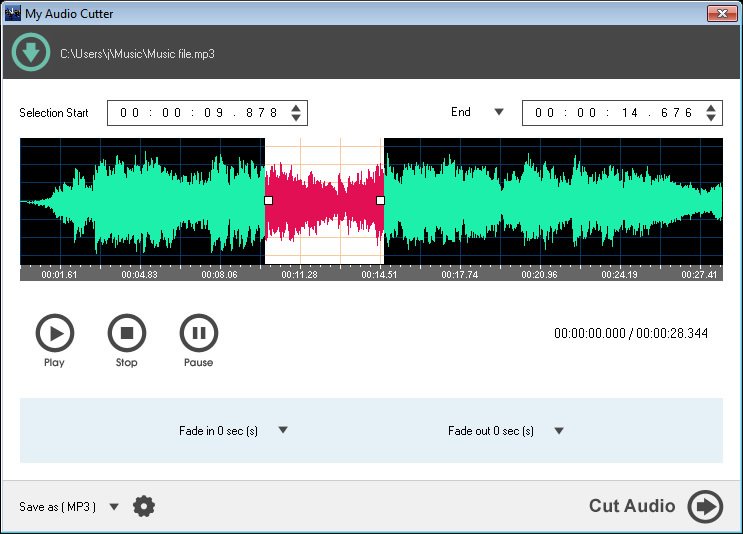 " My Audio Cutter is designed for helping you extract a specific audio stream from audio files in order to create ringtones or simply cut large files into smaller parts. It combines ease of use with several handy audio parameters in order to helping you cut tracks into segments, and is suitable for all users, regardless of their experience level. " My Audio Cutter cuts and split audio files into smaller segments. 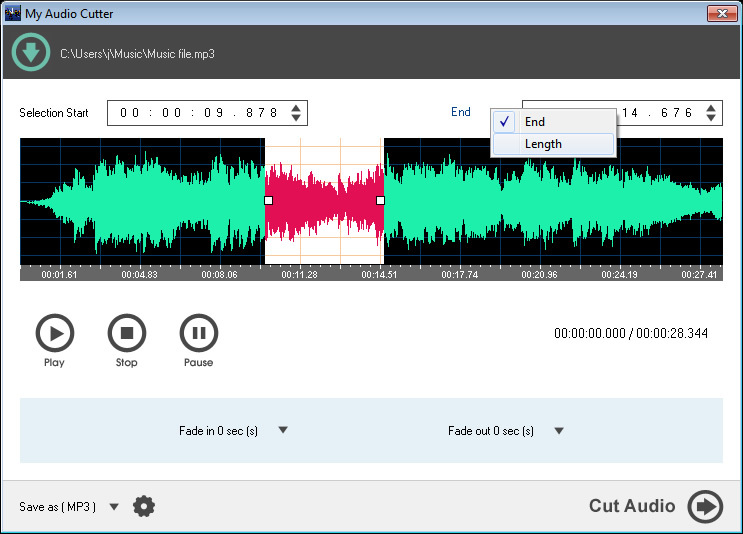 My Audio Cutter allows you to define in visual or manual mode the start and end time or length to perform the cut. You can play preview the selected segment for better cutting accuracy. My Audio Cutter can also be used to extract audio from video files. Add fade-in / fade-out effects to the output audio file. These effects will make the output audio file sound smooth. 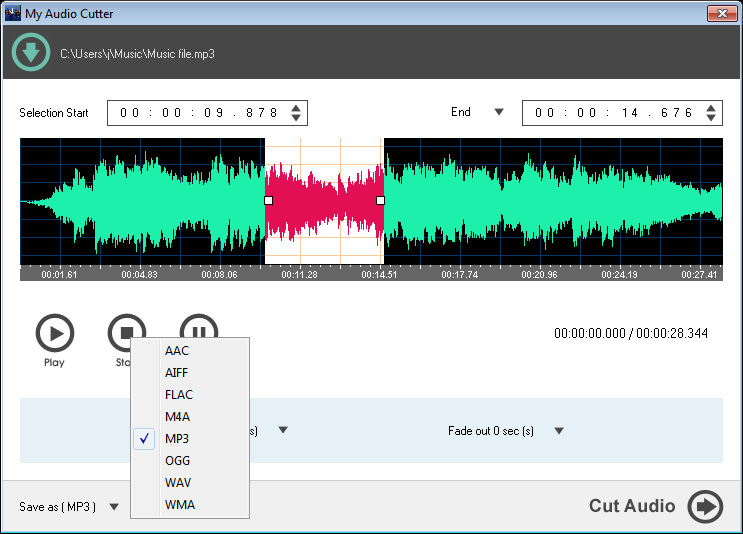 My Audio Cutter supports audio tagging feature. It will preserve the audio tag information on the output audio file. My Audio Cutter supports audio formats MP3, MP2, WAV, WMA, OGG, FLAC, AIFF, M4A, AAC, AC3, WV and also video formats MP4, WMV, ASF.